A little while ago I bought a new klipsch speaker as my previous one was starting to die and I love it except for a minor irritation. The speaker has builtin power saving tech that powers it off if its not used for a certain period of time and that means that I have to physically power it on every time I wanted to listen to music which was annoying. As I would invariably be comfortably seated and start the music before remembering that I needed to power it on. Also, I could not start the music from my phone whenever I felt like as the speaker was powered off and I would have to walk to the room to power it on. Spent a couple of hours trying to figure out what was causing it and was able to identify that it was caused because of a bug in appstream as tunning the command manually also failed with the same error. When I tried to remove the package as recommended by a few sites it would have removed the entire KDE desktop from my machine which I didn’t want so I was at a loss as to how to fix the problem. So I put the update on hold till I had a bit more time to research the issue and identify the solution. Today I got some free time and decided to try again and after a little bit of searching stumbled upon the following Bug Report (#906544) where David explained that the error was caused due to a bug in the upstream version of appstream and a little while later Matthias commented that the issue is fixed in the latest version of the software and it would flow down to the Debian repositories in a little bit. Normally I would have just done an apt-get update and then install to get the latest package but since the whole issue was that I couldn’t get the system to finish the update command I had to manually install the package. This installed the package and I was then able to do an apt-get update successfully. I still get the GLib-CRITICAL warnings but that apparently can be ignored without issues. Hope this helps people who hit the same issue (or reminds me of the solution if/when I hit the issue again). We have heard multiple stories where someone looses a pendrive or a laptop containing sensitive/private data which is then published by the person who found the drive embarrassing the owner of the data. The best way to prevent something like that from happening to you if you loose a disk is to make sure all your data is encrypted. Historically this used to be quite painful to setup and required a lost of technical know-how. Thankfully this is no longer the case. After trying a bunch of different options I found Linux Unified Key Setup-on-disk-format (LUKS) to be the most user-friendly and easy to setup option for me. Warning: This will remove all data on the partition that you are encrypting. So make sure you have a working backup before proceeding amd don’t blame me if you manage to destroy your data/device. where <device> is the partition we want to encrypt (e.g. /dev/sda1). The command will ask you for confirmation and a passphrase. This passphrase is not recoverable so make sure you don’t forget it. Replace the UUID in the example with the UUID of your drive. (Instructions on how to find the UUID are available here). That’s it. You now have an encrypted partition that shows up as a regular partition in Linux which you can use as a regular drive without having to worry about anything. No special changes are needed to use this partition which means any software can use it without requiring changes. Important note: a LUKS header backup can grant access to most or all data, therefore you need to make sure that nobody has access to it. How to remount the encrypted partition? If you want the encrypted partition to be hidden then you can use Deniable encryption/Hidden Partition or use steganography. I haven’t really used either so can’t comment on how to set it up correctly but maybe I can talk about it in a future post after I explore them a bit more. Well this is all for now, hope you find this useful. Will write more later. Some of you might have wondered (for a very brief amount of time) based on my last post and then lack of activity if I had managed to get myself sent to Mars but unfortunately that wasn’t the case. The problem was more mundane, basically I had somehow managed to get my desktop in a state WHERE it thought that it needed to uninstall KDE whenever I tried to upgrade to the latest Debian packages using ‘apt-get upgrade’ or for that matter when I tried to install any new package as well. After ignoring the issue for a while I decided to take the plunge and went ahead with the upgrade thinking that I would just reinstall KDE after the upgrade completed. Unfortunately that didn’t work out as planned and I had to do a full reinstall from scratch. It was something I thought about doing so that I could resize the partition allocation but didn’t have the time/incentive to do it. So this was the perfect time to take the plunge. There is no quick icon widget. I put all the software I regularly use in the Quick icon bar and not having it is really annoying. There is a temp workaround where I can right click on a window and select ‘Show as a Launcher when not running’ but it is not the same. There is a bug that prevents you from disabling the beep for system events for all events. So everytime I try to delete sometime I get a loud and annoying beep. I can’t switch off all sounds because then I can’t hear my music either. Lots of folks have been complaining about this so hopefully there will be a fix out soon. Not all software minimizes to the system tray. Specifically, Tomboy which I use to take notes exits completely when I close it instead of minimizing to the system tray which is what it used to do. I am sure there is a setting that I am missing but I haven’t found the fix yet. There are other minor annoyances but they are mostly caused because the new version does things slightly differently so I guess I just need to get used to the new way. To top things off my UPS battery has gone for a toss and I get an amazing 0.2 mins of backup with a full charge. 🙁 I have ordered new batteries but till they arrive I need to remember to power off the system when I am not around. Well this is all for now. Will post more later (hopefully more regularly now that I have a working desktop again). Check it out, bookmark it. It will save you some grief down the line the next time you are in this situation. When you use a computer and keep copying data forward everytime you upgrade or work with multiple systems it is easy to end up with multiple copies of the same file. I am very OCD about organizing my data and still I ended up with multiple copies of the same file in various locations. This could have happened because I was recovering data from a drive and needed a temp location to save the copy or forgot that I had saved the same file under another directory (because I changed my mind about how to classify the file). So this weekend I decided to clean up my system. This was precipitated because after my last system reorg I didn’t have a working backup strategy and needed to get my backups working again. Basically I had moved 3 drives to another server and installed a new drive on my primary system to serve as the Backup drive. Unfortunately this required me to format all these drives because they were originally part of a RAID array and I was breaking it. Once I got the drives setup I didn’t get the chance to copy the backup data to the new drive and re-enable the cron job that took the daily backup snapshots. (Mostly because I was busy with other stuff). Today when I started copying data to the new Backup drive I remembered reading about software that allowed you to search for duplicate data so thought I should try it out before copying data around. It is a good thing I did because I found a lot of duplicates and ended up freeing more than 2 GB of space. (Most of it was due to duplicate copies of ISO images and photos). 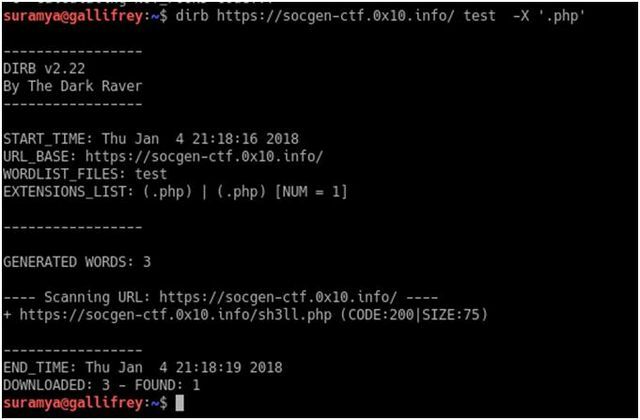 FSlint: FSlint is a utility to find and clean various forms of unwanted extraneous files on a computer file system. Both of them delete files but are designed for different use cases. So let’s look at them in a bit more detail. Once the software is installed, you can either use the GUI interface or run it from the command line. I used the GUI version because it was easier to visualize the data when seen in a graphical form (Yes I did say that. I am not anti-GUI, I just like CLI more for most tasks). Using the software was as easy as selecting the path to search and then clicking on Find. After the scan completes you get a list of all duplicates along with the path and you can choose to ignore, delete all copies or delete all except one. You need to be a bit careful when you delete because some files might need to be in more than one location. One example for this situation is DLL files installed under Wine, I found multiple copies of the same DLL under different directories and I would have really messed up my install if I had blindly deleted all duplicates. Flossmanuals.net has a nice FSlint manual that explains all the other options you can use. Check it out if you want to use some of the advanced features. Just ensure that you have a good backup before you start deleting files and don’t blame me when you mess up your system without a working backup. The usage also is very simple, you just run the software and tick the boxes relevant to the clutter that you want gone and BleachBit will delete it. It does give you a preview of the files it found so that you can decide if you actually want to delete the stuff it identifies before you delete it. Thanks to How to Sort and Remove Duplicate Photos in Linux for pointing me towards FSlint and Ten Linux freeware apps to feed your penguin for pointing me towards BleachBit. In my previous post I had talked about some of the stats I pulled from Facebook about it’s usage by my friends. This was an ad-hoc number crunching done just because I was bored and got curious. After the post went live a friend of mine, Ankush asked for more details on how I generated the numbers so in this post I am going to go over my process and how I got the numbers I shared. Before we start, keep in mind that this is all data that is publicly available on FB, or at least shared with me. If you don’t want others to generate data about your activity on FB, you should change your privacy settings on FB and restrict access. Please don’t try to use this information to try to get access to data you are not supposed to. You will get in trouble and I will not take responsibility for it. Now that all that is out of the way, lets get to the details of the process. The first thing you need is to have the Facebook Command Line client installed. Instructions on how to install are here so I am not going to repost them here. Make sure you authenticate the install and follow the steps in ‘Obtain Additional Authorization’ section of the installation guide otherwise the rest of the guide won’t be of much use to you. Once you have FBCMD installed and configured, you can start playing with the options. Check out fbcmd Commands for the list of available options. You can also run the script with –help for the same. This command gets all the photos uploaded by folks in my friend list and downloaded them to the FB_Pics folder. As I mentioned in the previous post, this downloaded over 58k photos to my system. So be careful when you run it. You can also restrict it to a particular user by passing their name as a parameter. I took this output, put it in an Excel file and did some analysis on it to get the max post count, least post count, Total count and top 10 user post counts. I could have done this using shell commands as well, but since this was a one time task I didn’t see the point. Maybe in the future I could set up a job that would do this periodically and do trending on the data but lets see. I don’t see much use for this data except for the coolness factor and to satisfy my curiosity. So there you have it. This is how I generated the numbers I had posted earlier. As you can see there is nothing too complicated about it, so if you want you can generate similar stats for your friends as well. Well this is all for now. I should go and get some sleep now. My RaspberryPi Camera module finally arrived and it works great! After months of waiting (about 2 to be exact) my RaspberryPi Camera module finally arrived today and I took it for a brief spin. Setting it up was really easy, I just installed the Rasbian image I have, updated the install to the latest version and then enabled the camera. Once that was done and I rebooted the Pi, the camera started working without any issues. 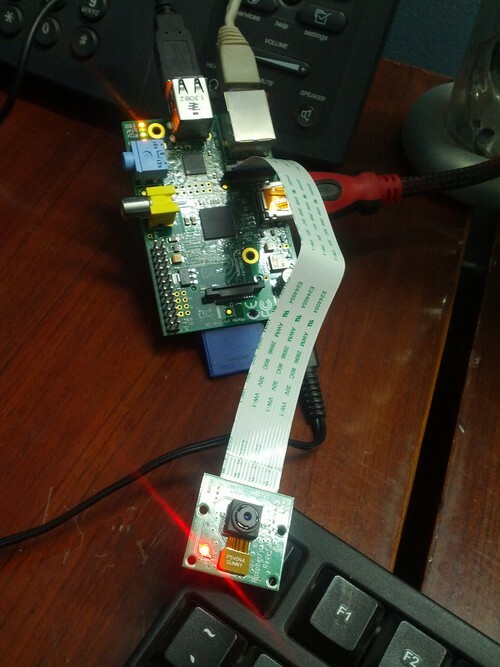 The instructions I followed are at: RaspberryPi Camera. As part of the test I got the pi to transmit the images to my desktop and the clarity was pretty good, there was a slight lag in the display of about 1/2 a second but at 1080p I don’t think I can complain. Below are some pics I took of the setup and of the image being streamed to my desktop. 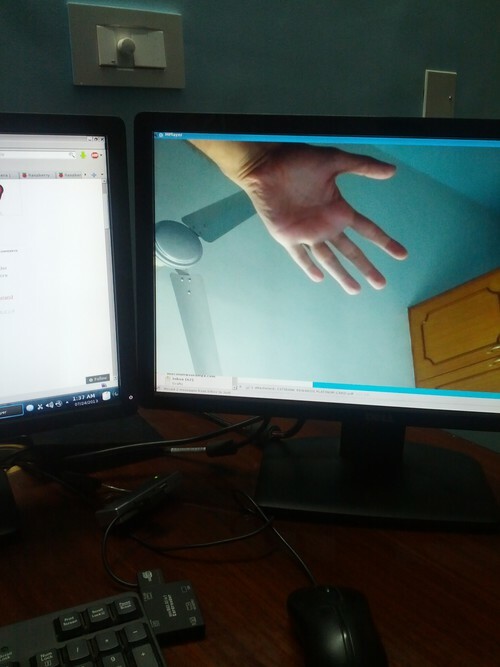 Photo of my hand being streamed live to my desktop from the Pi. I do plan to take pics using the camera module itself, but there is nothing interesting on my desk that I wanted to take photos of so you will have to wait for a day or two and I will take pics of the view from my window and post. Well this is all for now, I should go get some sleep now considering I have an early start tomorrow. A couple of folks have reached out to me via email/messages to tell me that the instructions I posted at the Raspberry Pi forums don’t work with the latest version of Rhaspbian. 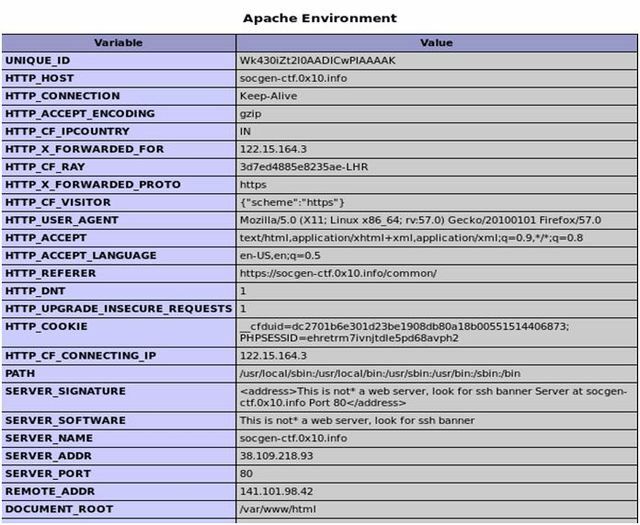 Basically the problem is that the latest version of the Citrix client is not compiled for the armhf architecture (Which is what the latest version of Rhaspbian OS is compiled for), so you need to download and install the armel version of the OS (‘Soft-float Debian “wheezy”’) from http://www.raspberrypi.org/downloads. So now we know that the card is at /dev/sde. All we have to do is write the image to the card and that is done using the following command. Make sure you replace the /dev/sde with the correct path otherwise you will end up destroying all data on the wrong drive. You will not see any output on the screen so don’t worry about it, just let it run and wait for the process to complete as it will take some time because of the amount of data being written. Once the process completes you can eject the card and if all went well you should be able to boot the Raspberry Pi from the card. The login password for this image is root/password, please do change the password if you use the image. Let me know if you have any questions or have an issue using this image. Insert the SD card into your SD card reader and check what drive letter it was assigned. You can easily see the drive letter (for example G:) by looking in the left column of Windows Explorer. If the card is not new, you should format it and make sure there is only one partition (FAT32 is a good choice); otherwise Win32DiskImager can make corrupt your SD card! Extract the executable from the zip file and run the Win32DiskImager utility. You should run the utility as Administrator! Select the drive letter of the SD card in the device box. Be careful to select the correct drive; if you get the wrong one you can destroy your data on the computer’s hard disk! You should also go through the Basic setup guide for Raspberry Pi. Hope this helps.